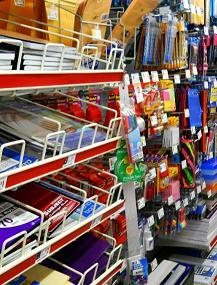 They’re back—those aisles of back-to-school items at stores around town. Parents and kids with lists from teachers are shuffling through, seeking out things like backpacks and electronic items. 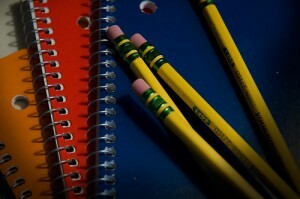 New clothes, lunch boxes, and sporting equipment are probably on their shopping lists as well, as are basics: mountains of pencils, pens, protractors, loose-leaf paper, and such. My own kids are long past the school stage, yet I am still drawn to this section of the store. I love to walk through and see the fresh pencils, markers, and assorted pens. But mostly, I head for the notebooks. Even in this digital age, notebooks hold a special place in my heart. Fresh pages are ready to be filled with information, thoughts, and even dreams. 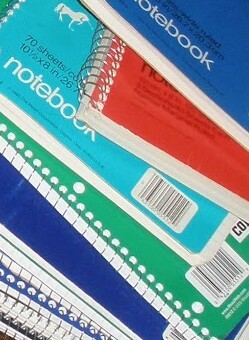 Notebooks represent possibilities. Maybe it is that classic thought of starting with a clean slate—a fresh start unencumbered by old thoughts, errors, and omissions. 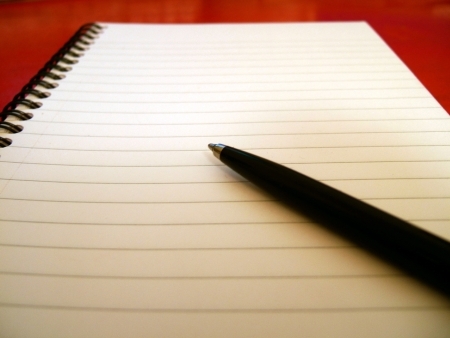 Composition notebooks inspire me to journal or tell stories, wide-ruled ones make me wish I had decent handwriting. Some hold the lure of organization, with several sections and special pockets. They offer a promise of helping me accomplish things and keep my act together. Some have interesting covers, others are odd sizes and add an element of fun. A few bring back memories, like how the “rat-edge” irritated teachers when assignments were turned in on pages torn from spiral notebooks. My own love of notebooks may stem from my passion for writing. My kids share this trait, it seems. One of my sons still carries notebooks everywhere, filling them with lyrics and poetry to be shared through his music. The other has always been drawn to sketchbooks instead. It isn’t really about the paper or the fancy covers. I think the possibilities of what to put on those pages, whether to save or to share, is the real delight. 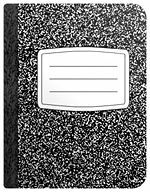 So I will buy notebooks for me, and a stack of them to drop off at the local elementary school as well. For the artists among us, I’ll grab a couple of sketchbooks, too. Perhaps a young child will discover the delight of filling these blank pages with whatever treasures come his or her way during the school year. I know something in that back-to-school section appeals to you, too. Please share a comment below, and tell us what school supplies you love, how they lift your spirits, and what promises they hold for you. This entry was posted in Social & Emotional Learning and tagged back to school, blank page, notebooks. Bookmark the permalink. PENS! I love new pens, colors, gel, ink, all kinds! New thoughts, endless ideas. Doodling. Planning. Pens do it all.